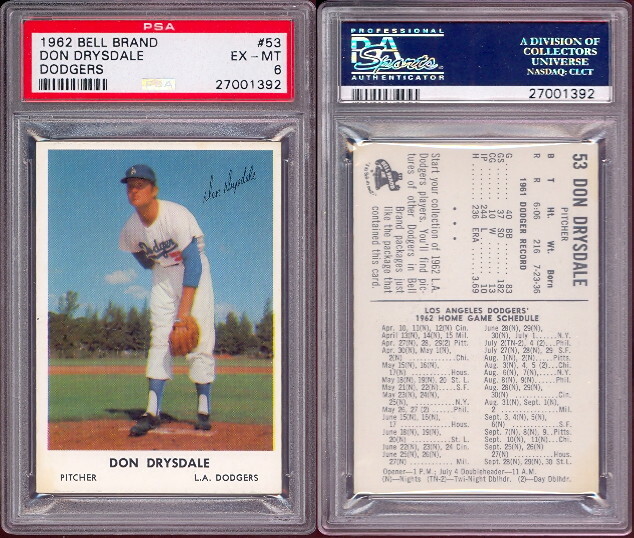 BELL BRAND ISSUE OF DODGER CARDS!! 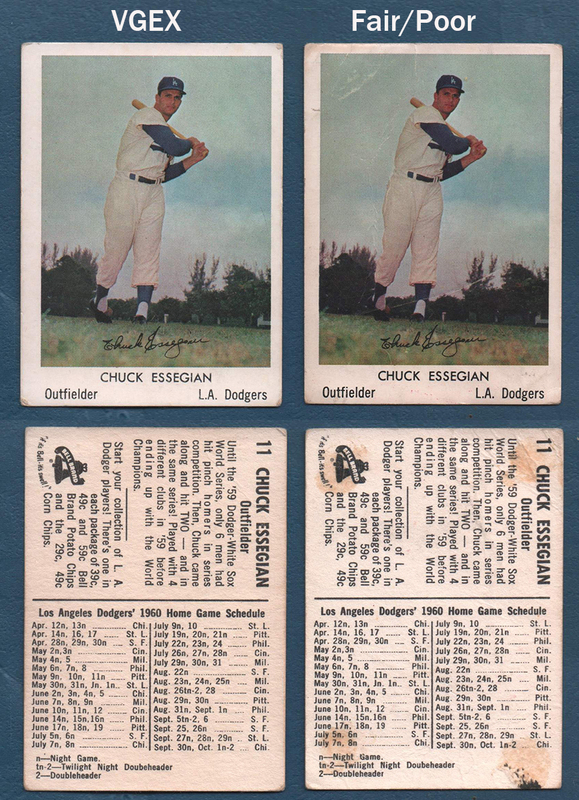 These are very popular, and not that easy to find. 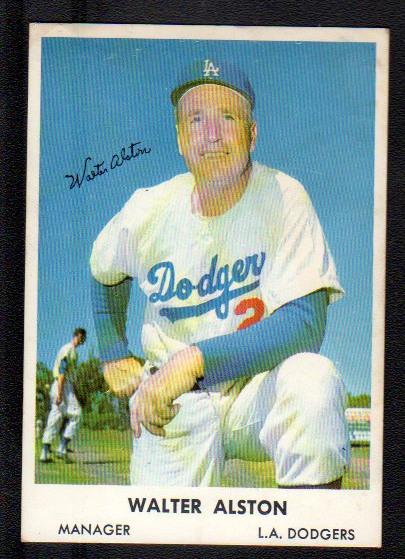 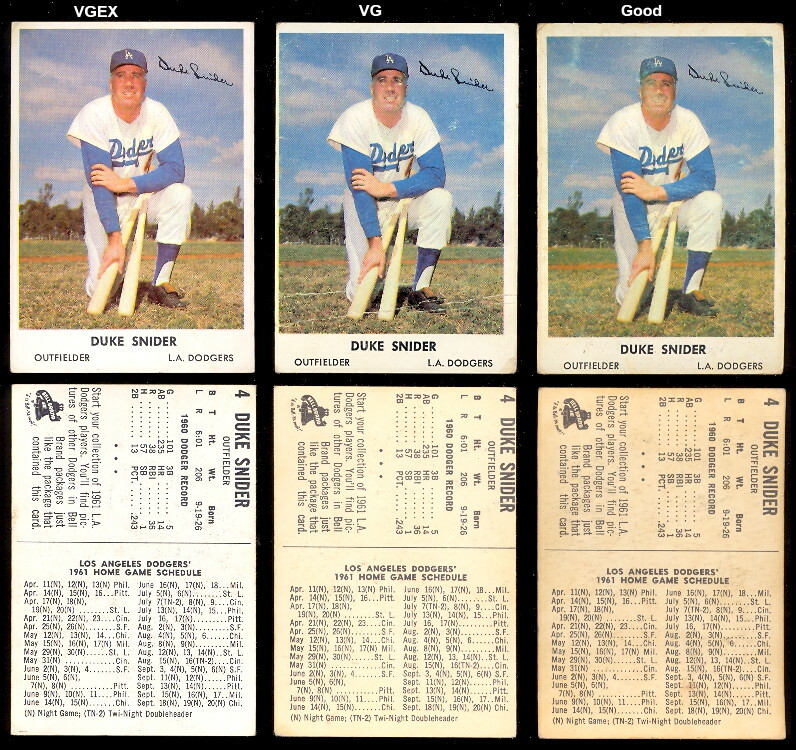 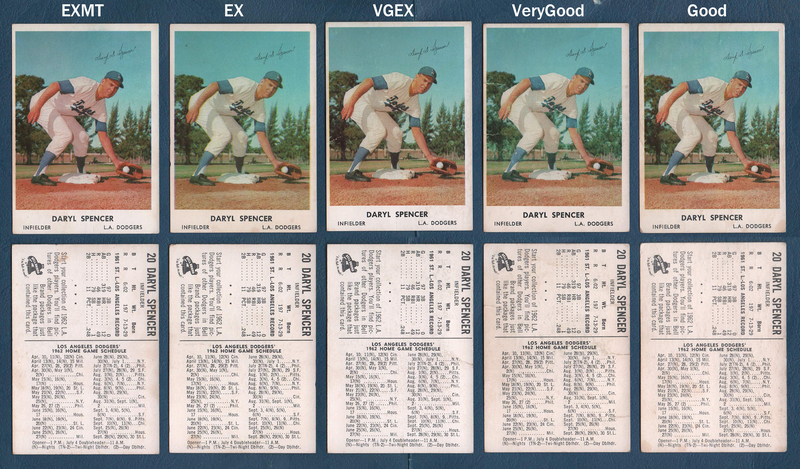 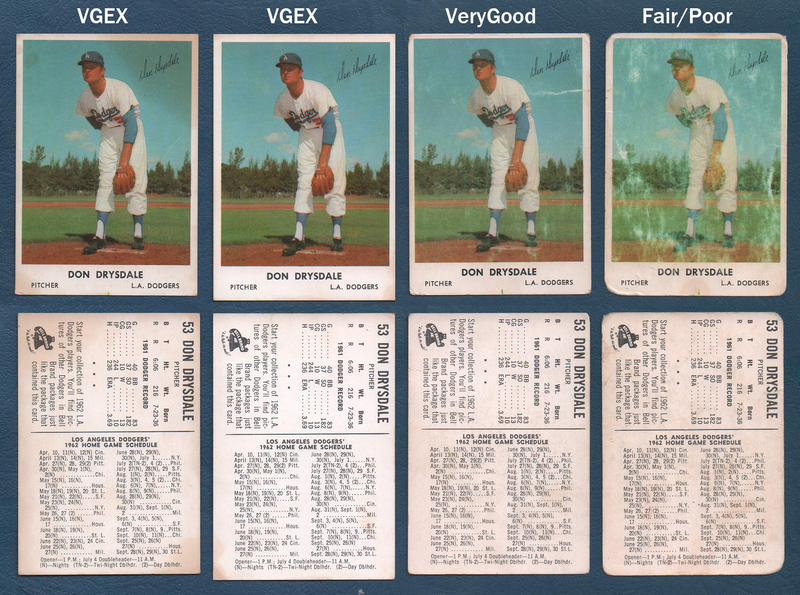 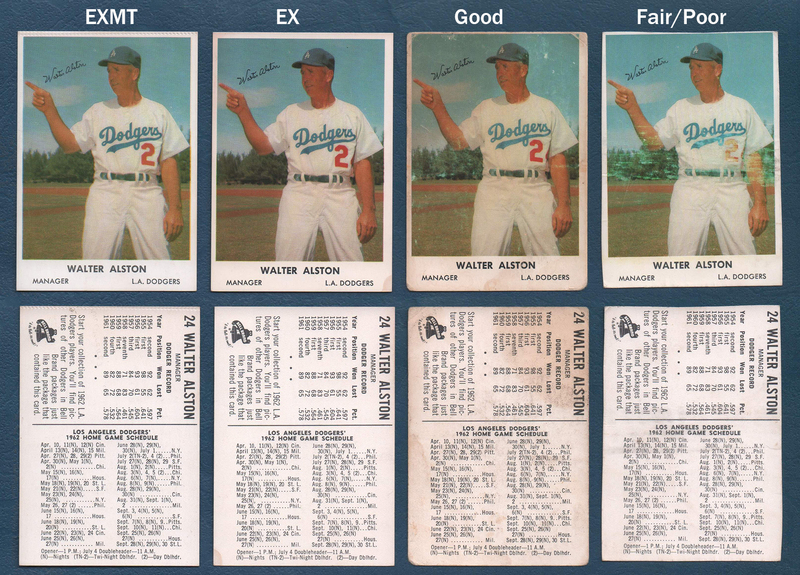 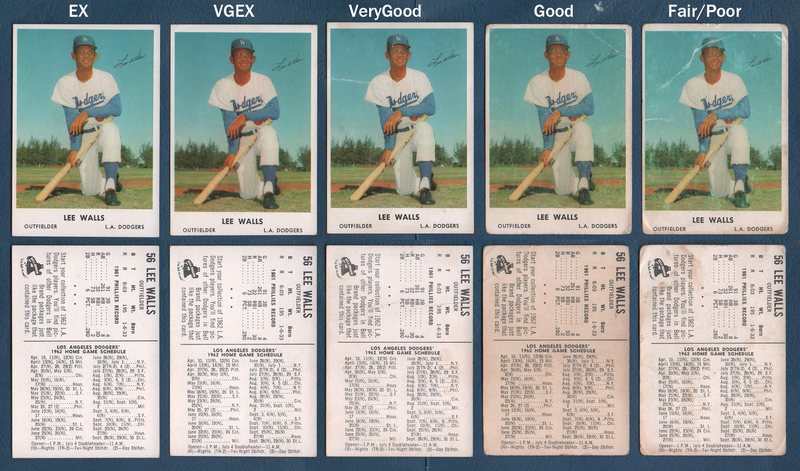 Initially issued in 1958, the Dodgers first year, cards were inserted into packages of Bell Brands potatoe chips, and distributed in Southern California. 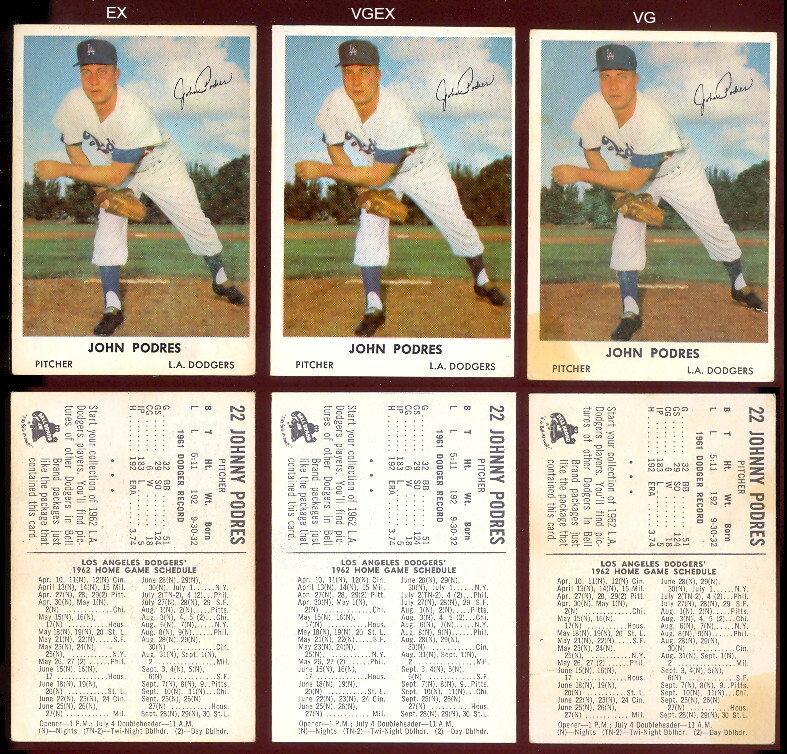 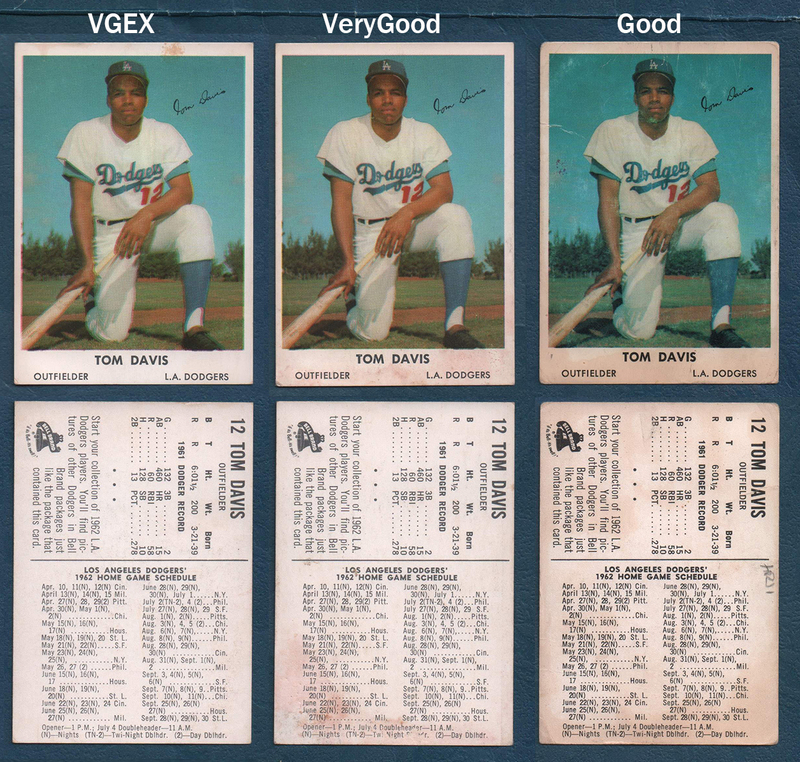 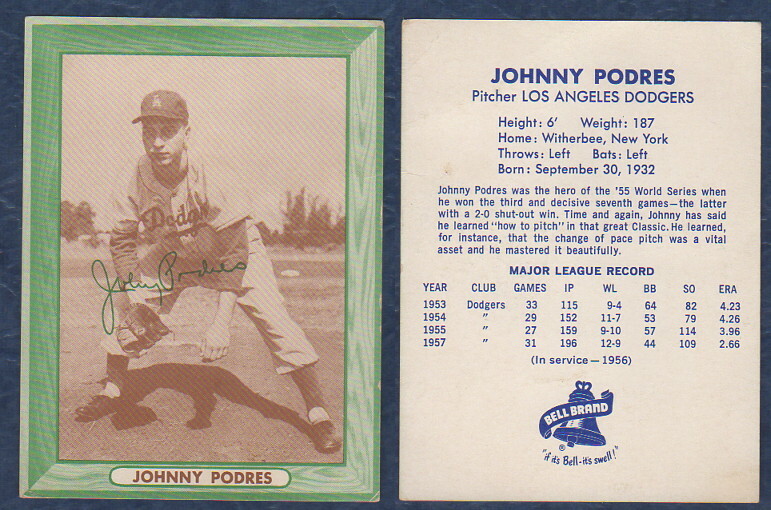 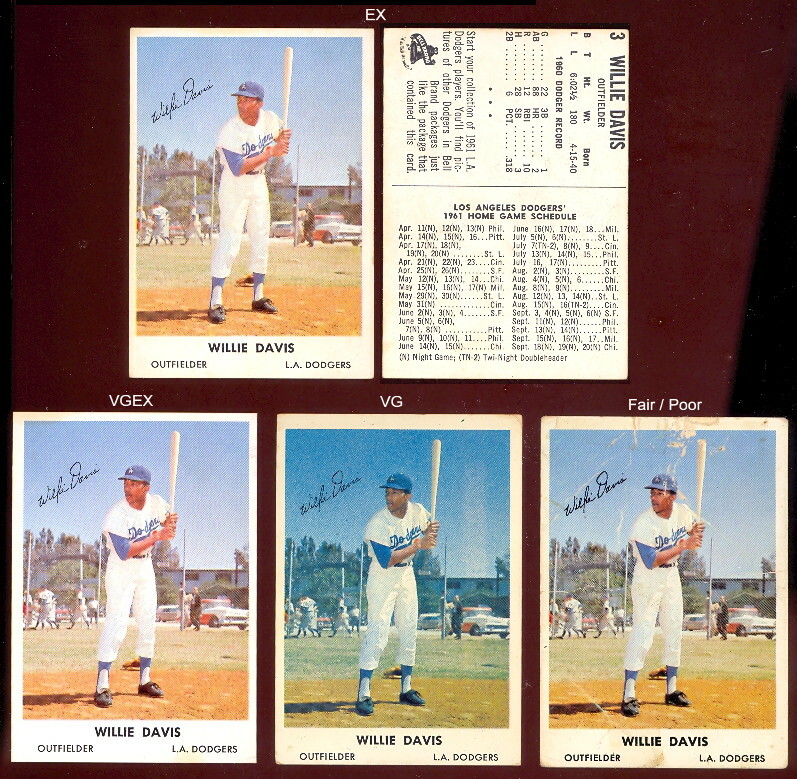 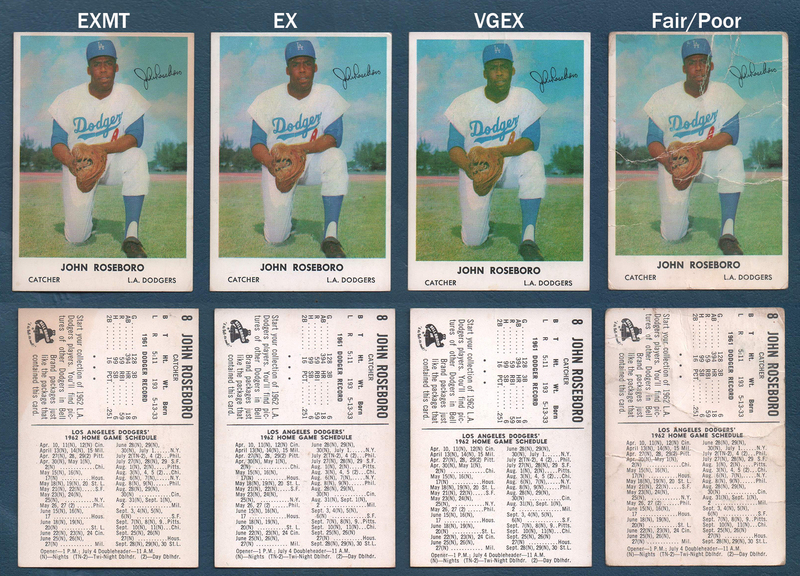 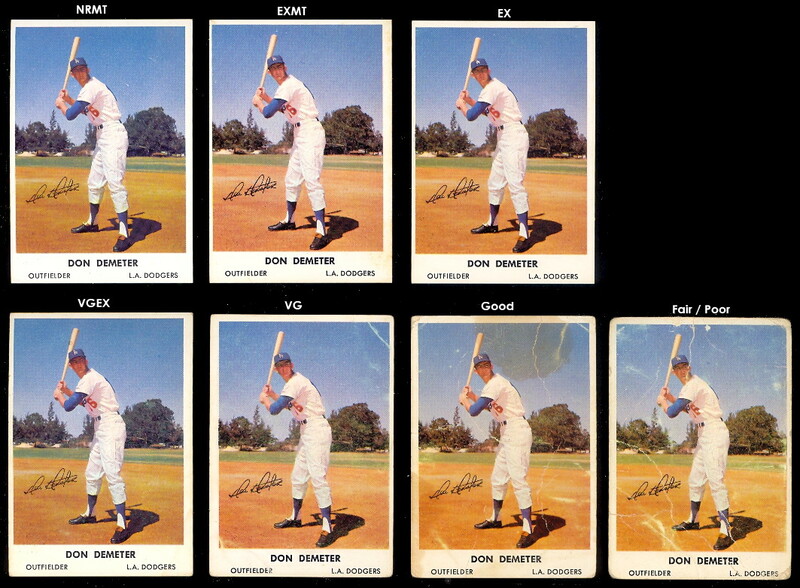 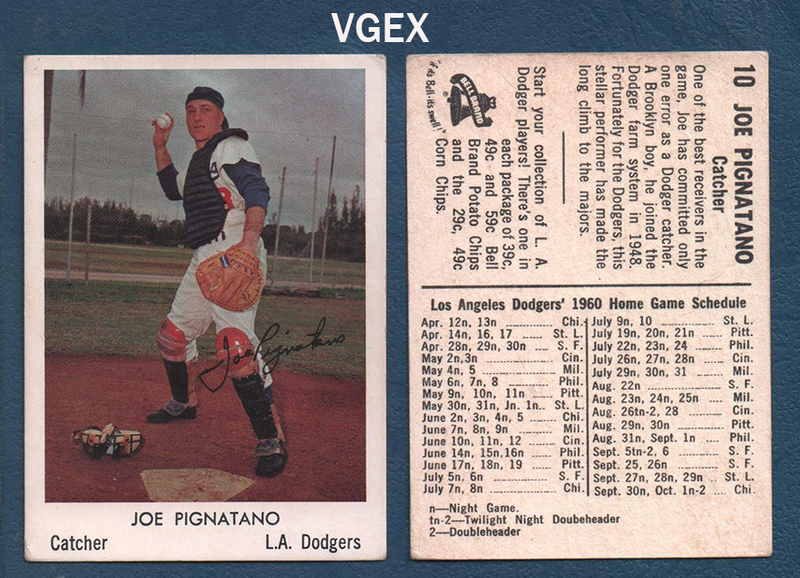 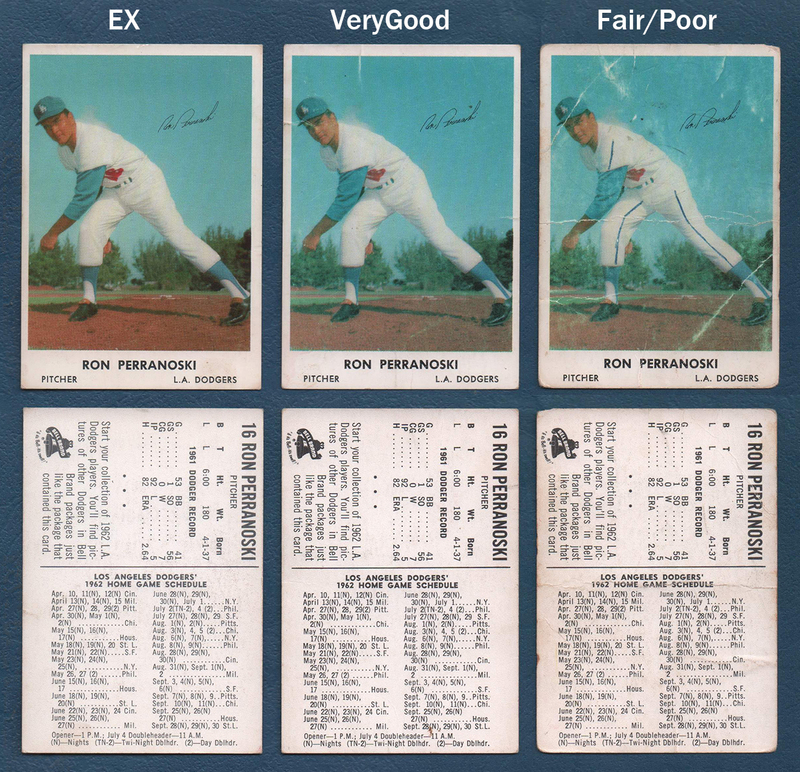 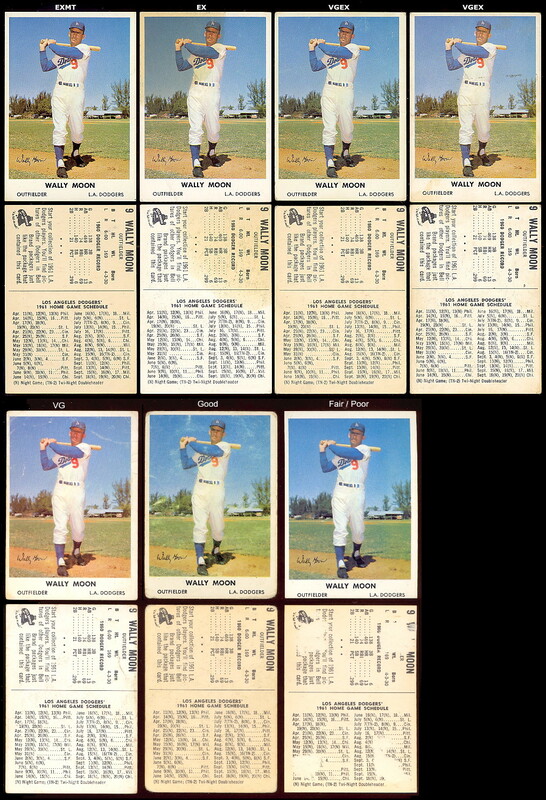 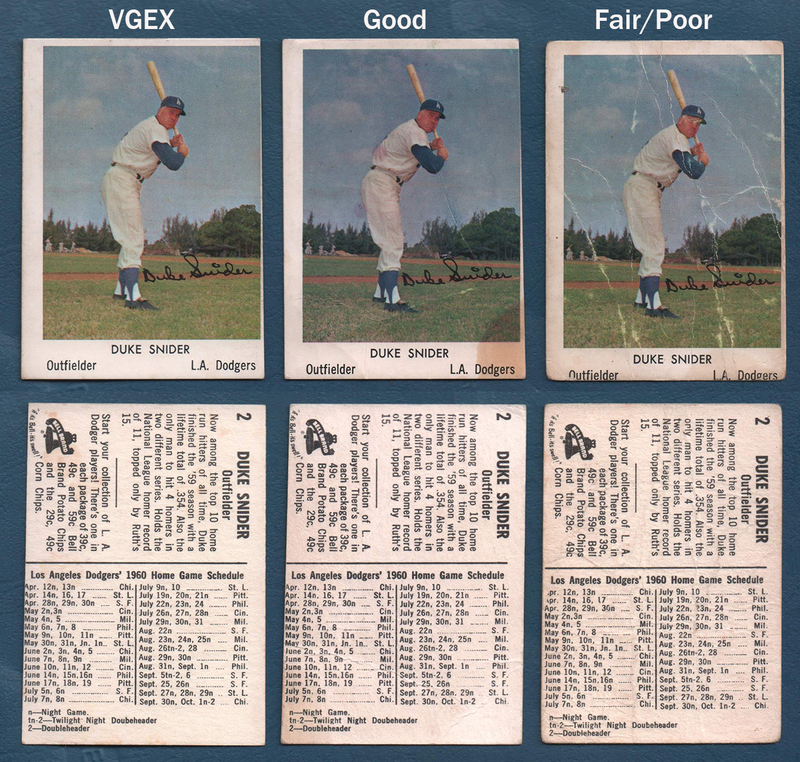 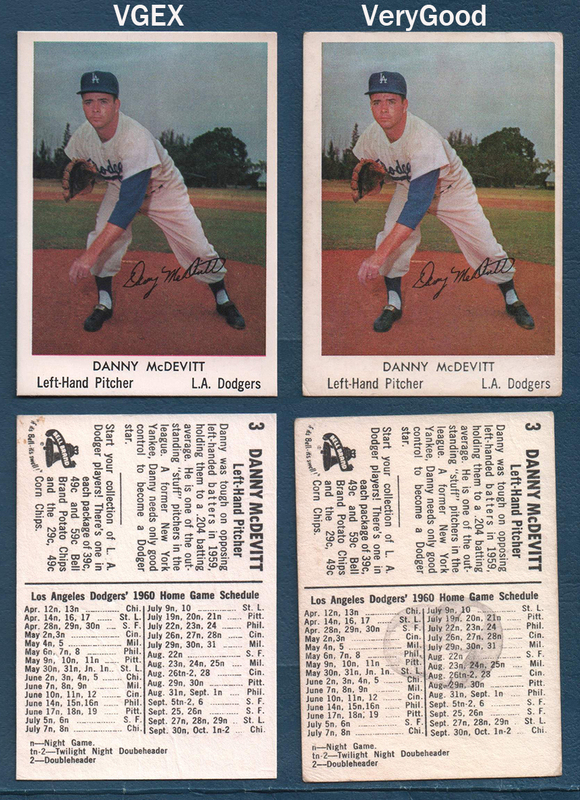 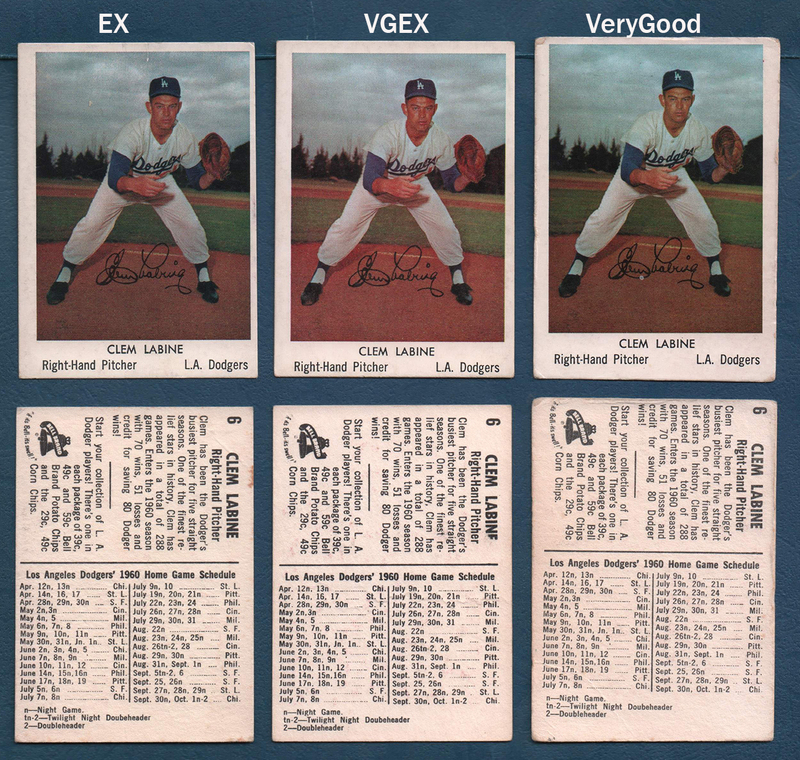 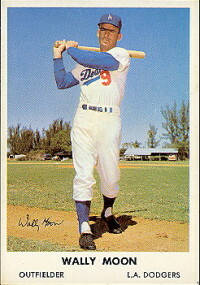 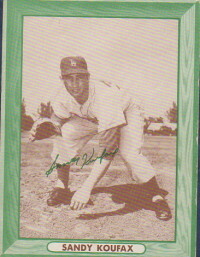 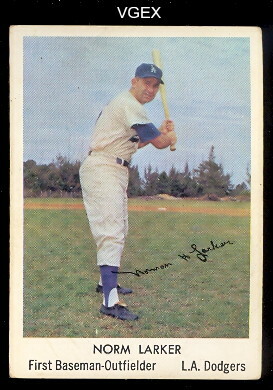 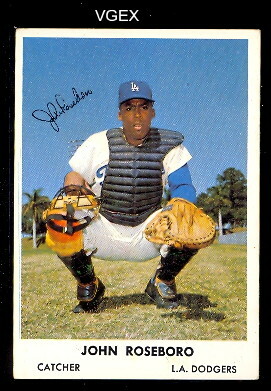 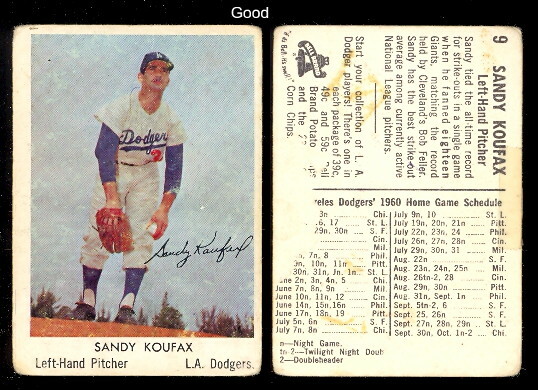 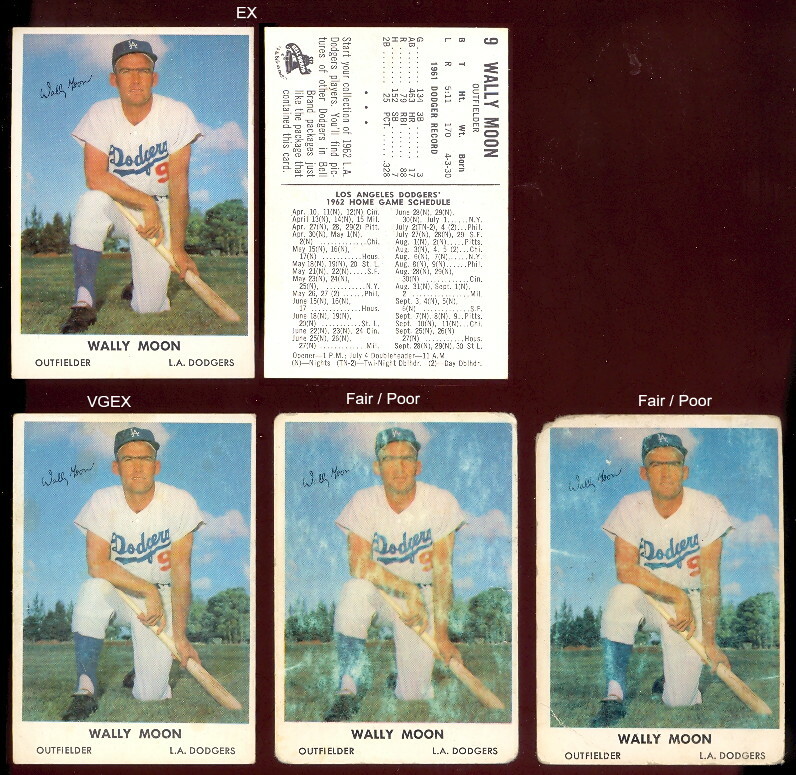 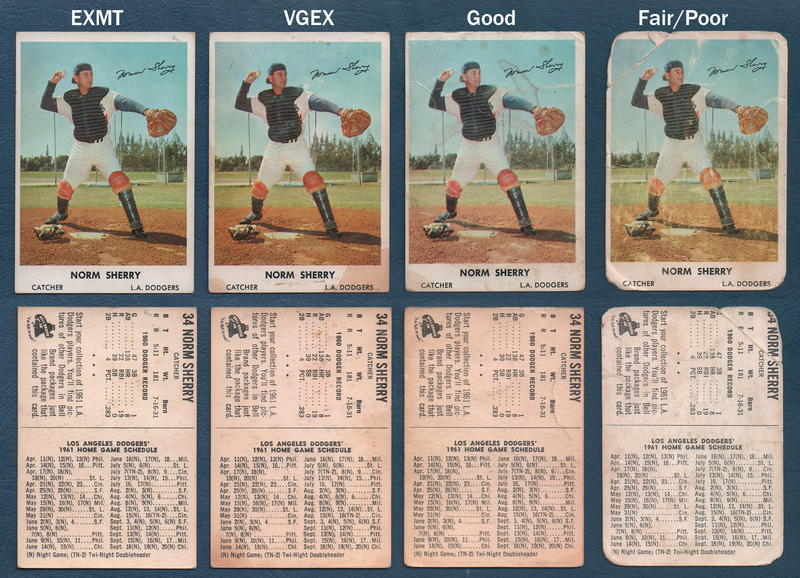 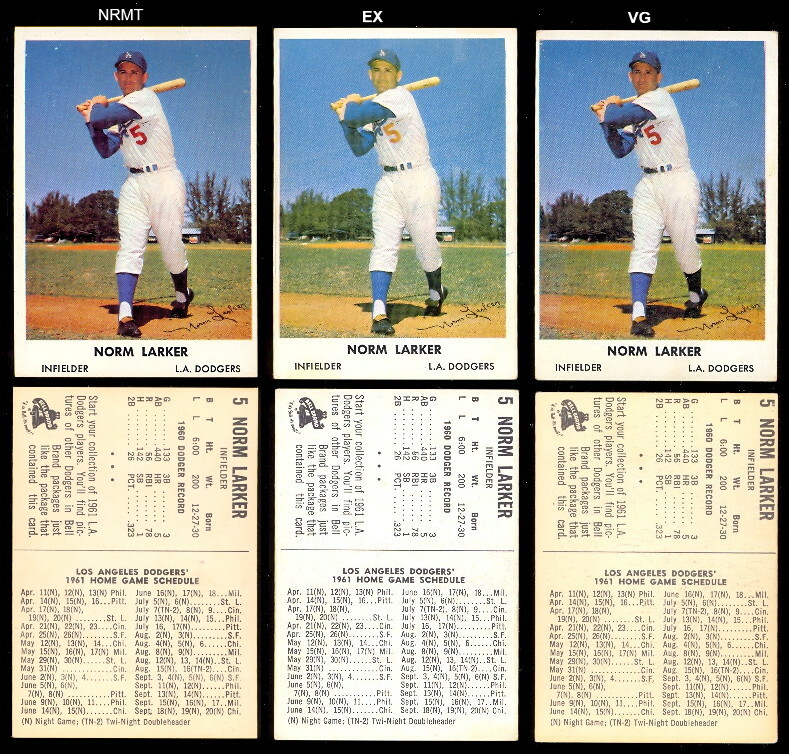 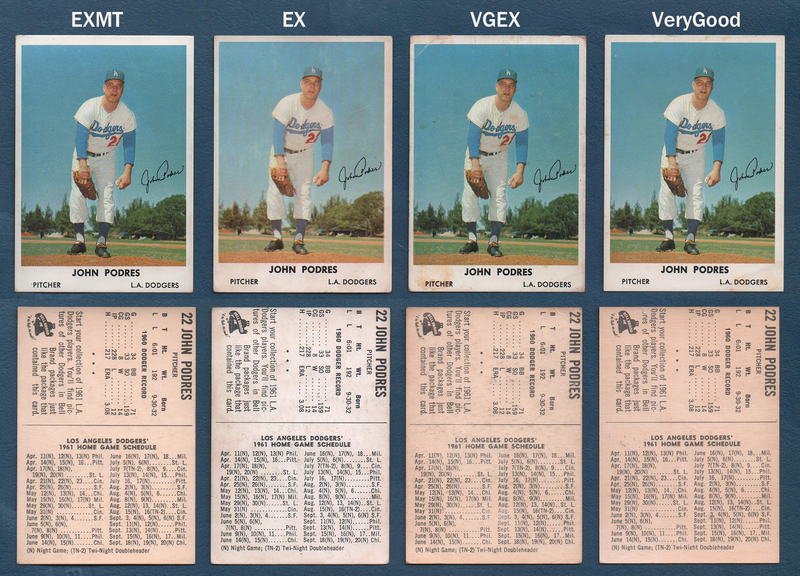 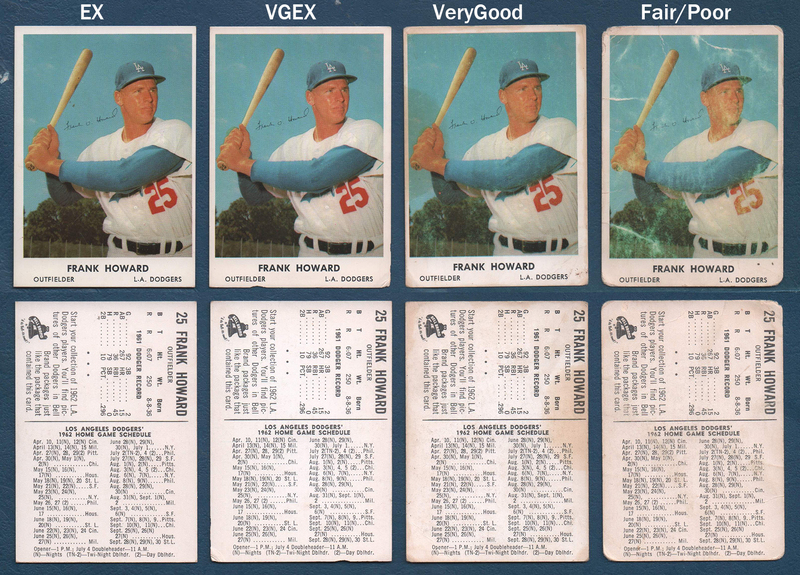 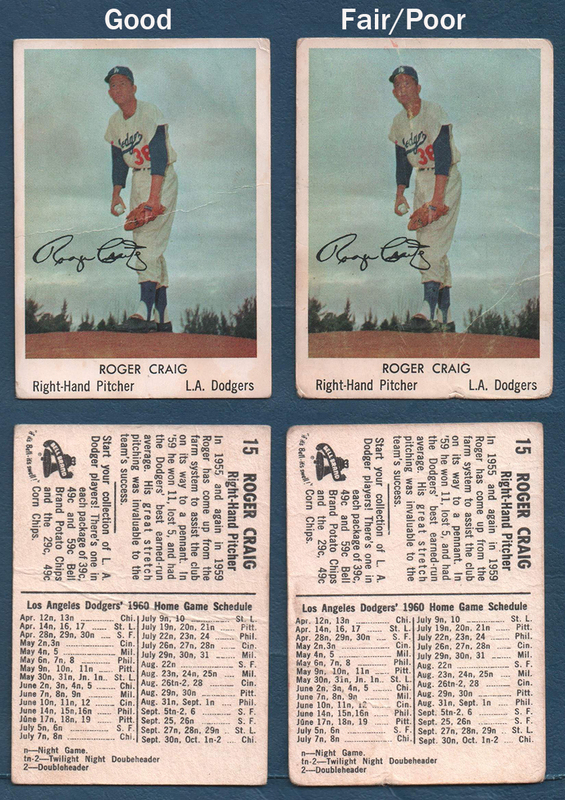 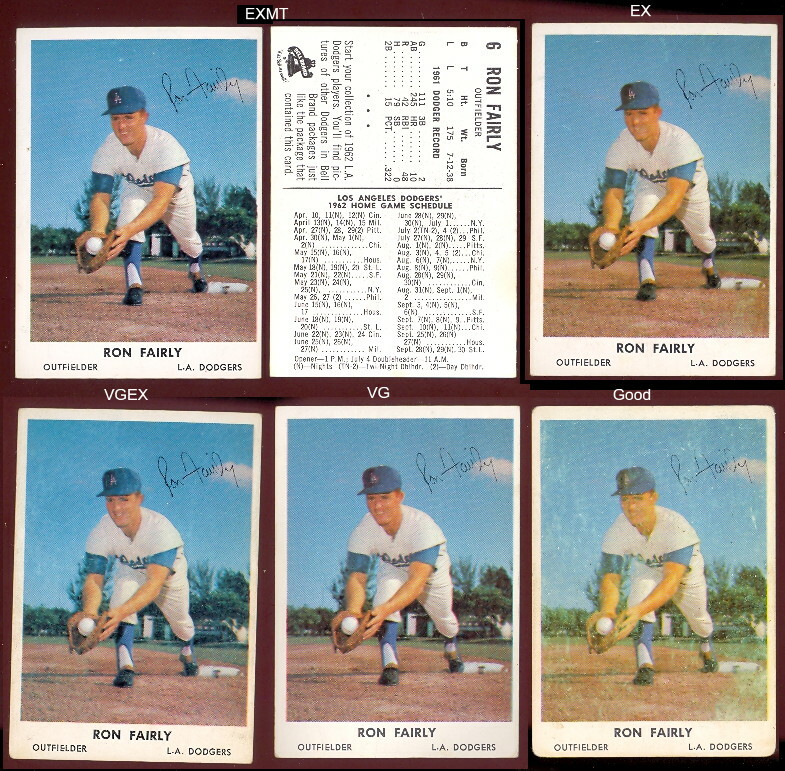 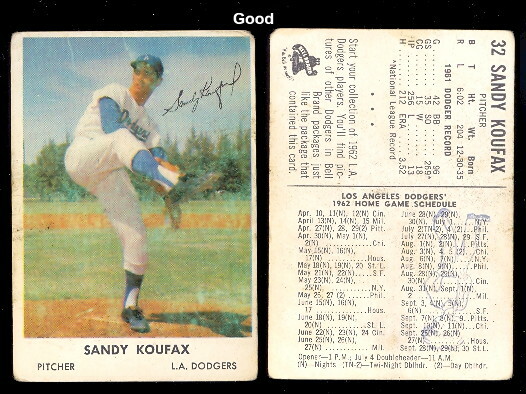 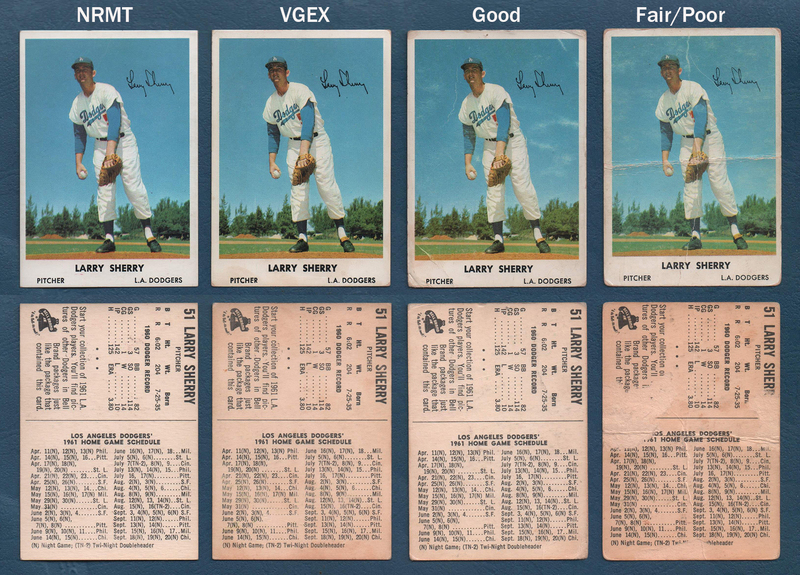 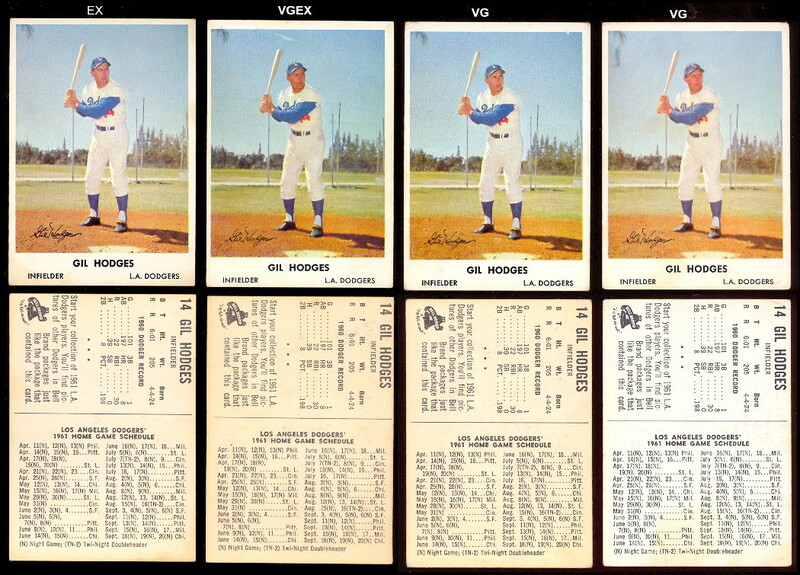 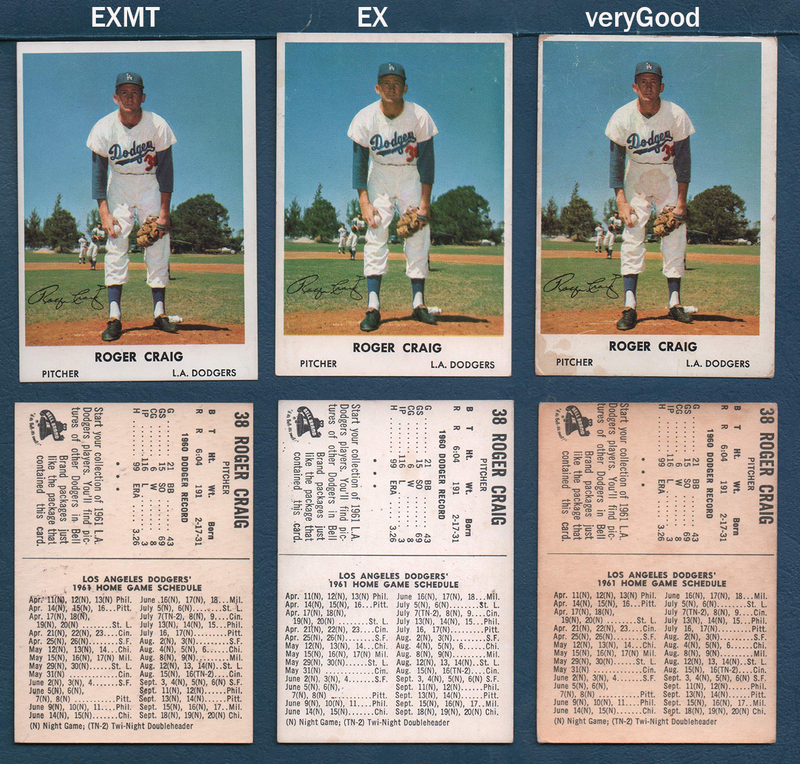 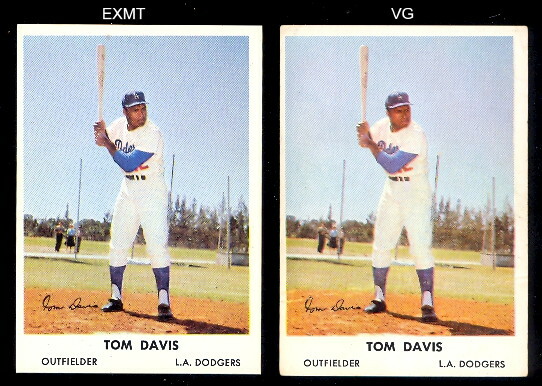 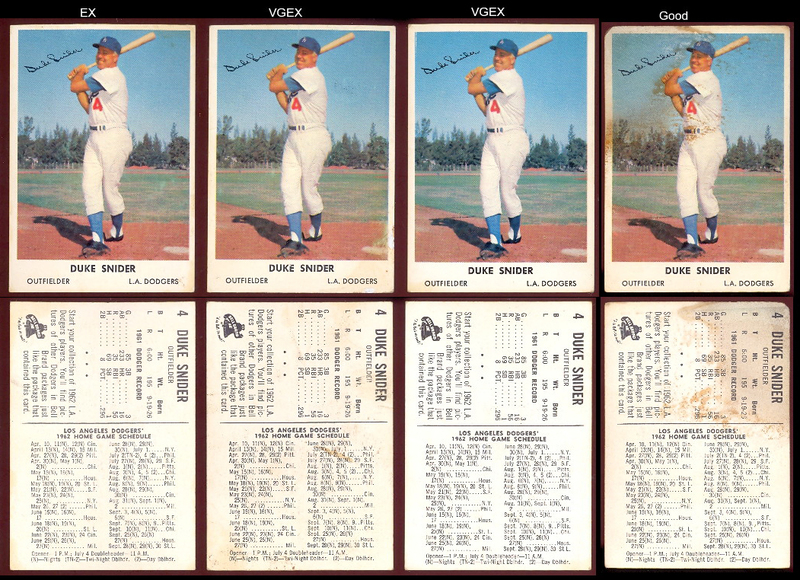 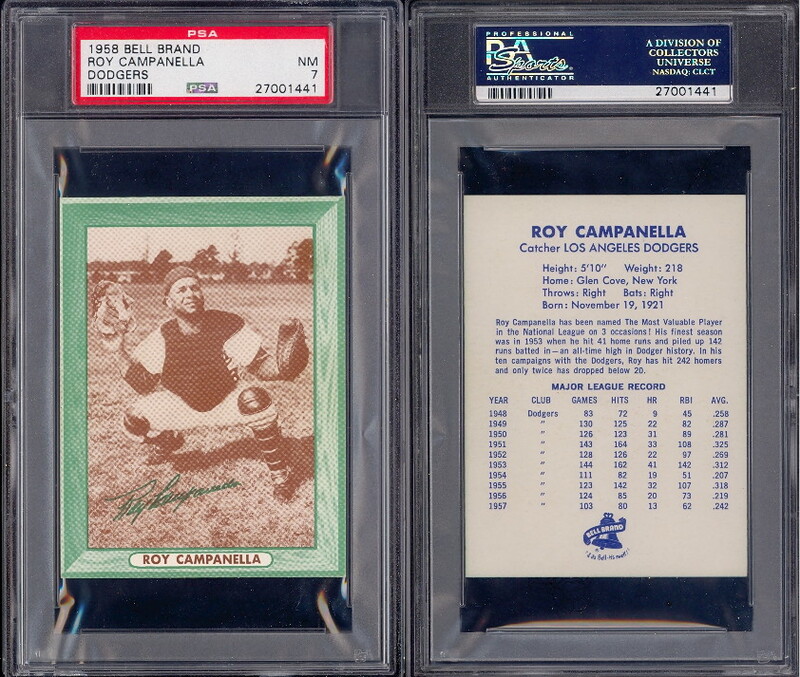 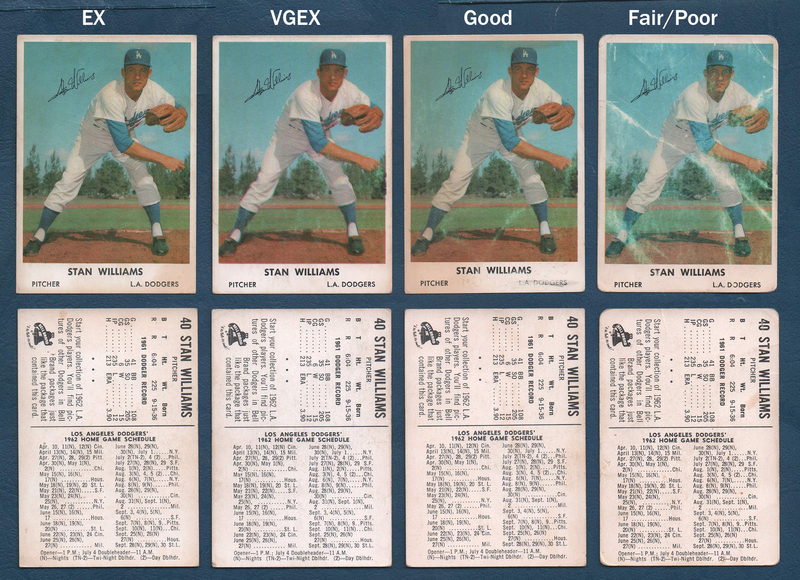 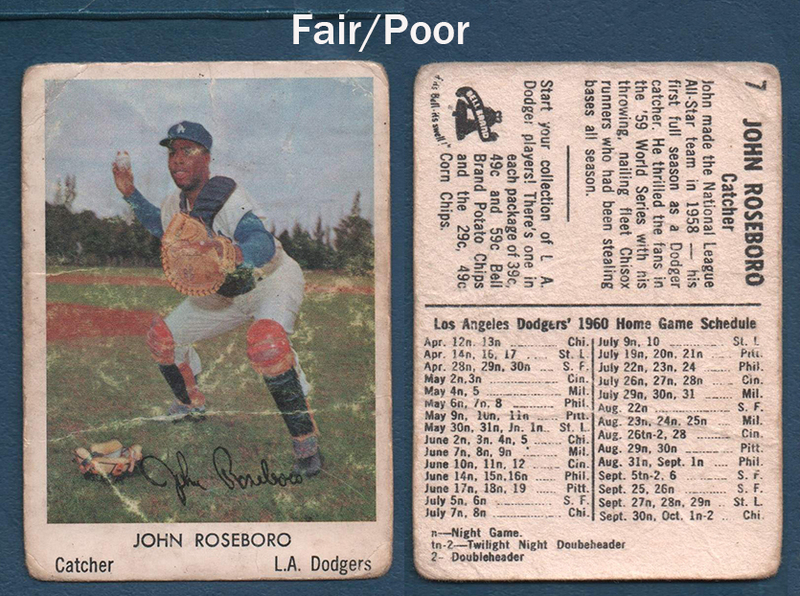 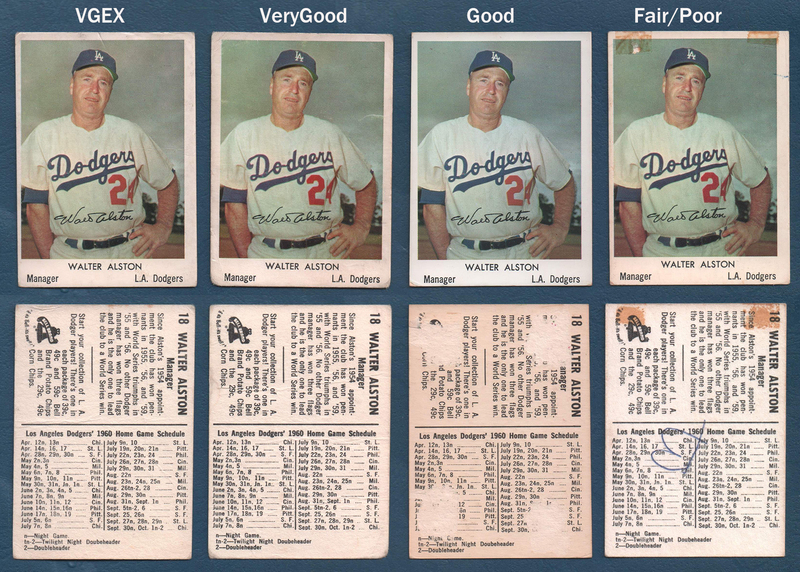 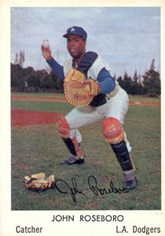 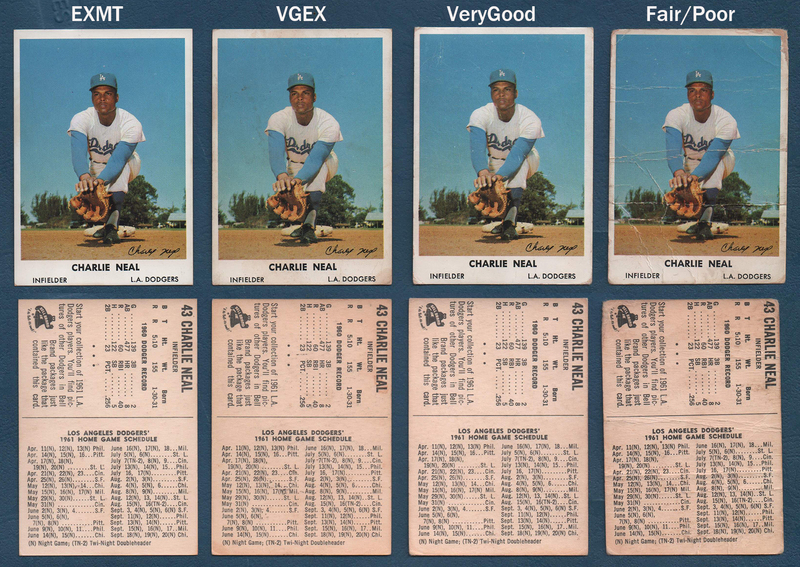 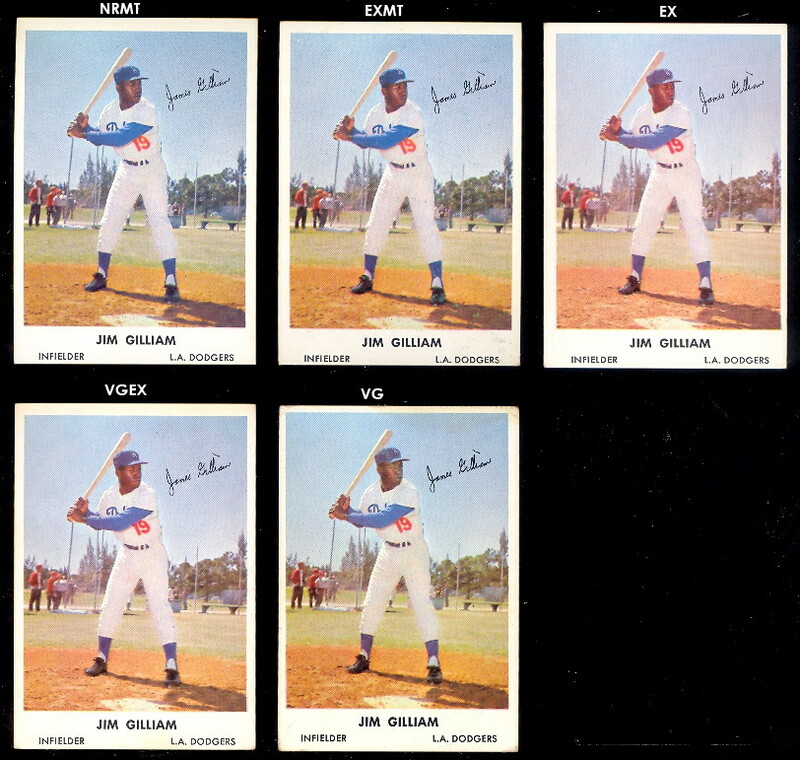 The 1958 cards are larger than the following years and are very rare. 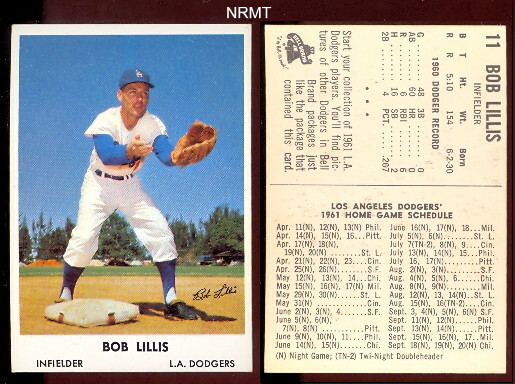 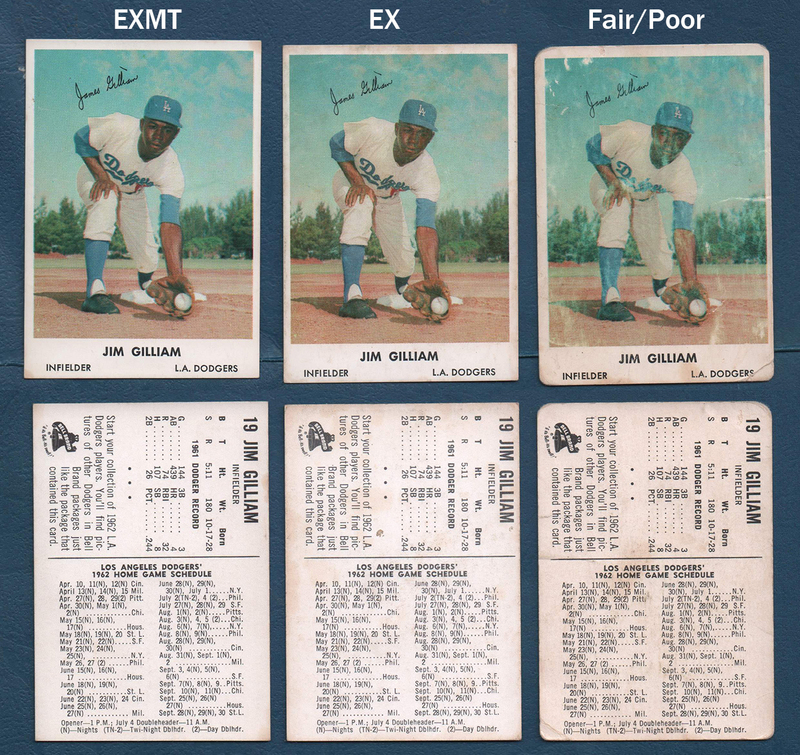 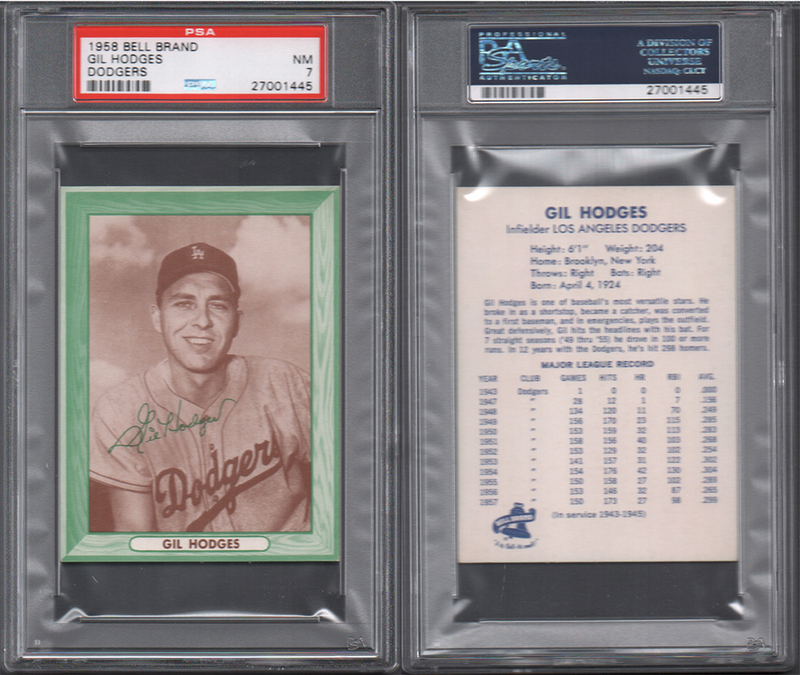 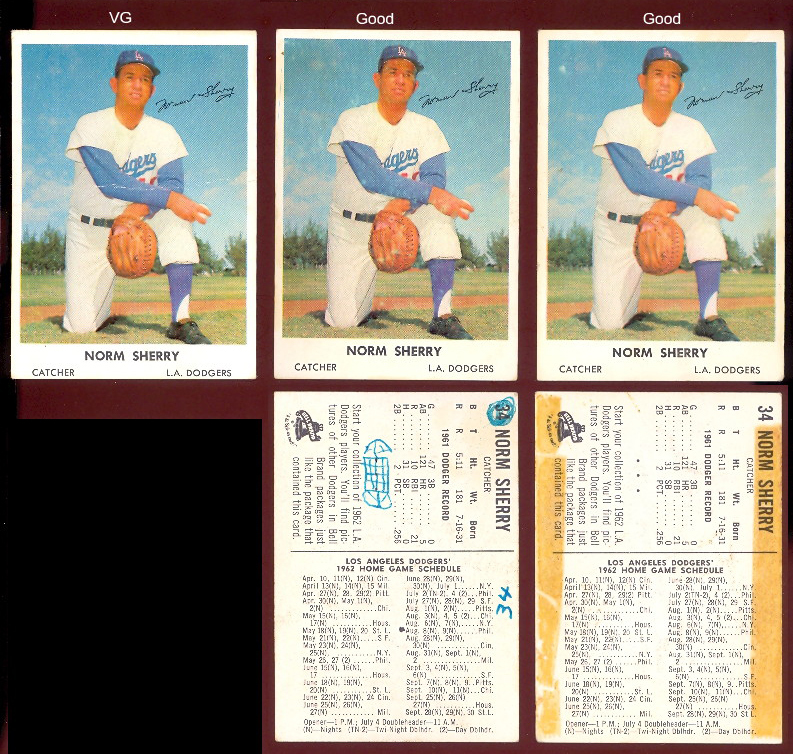 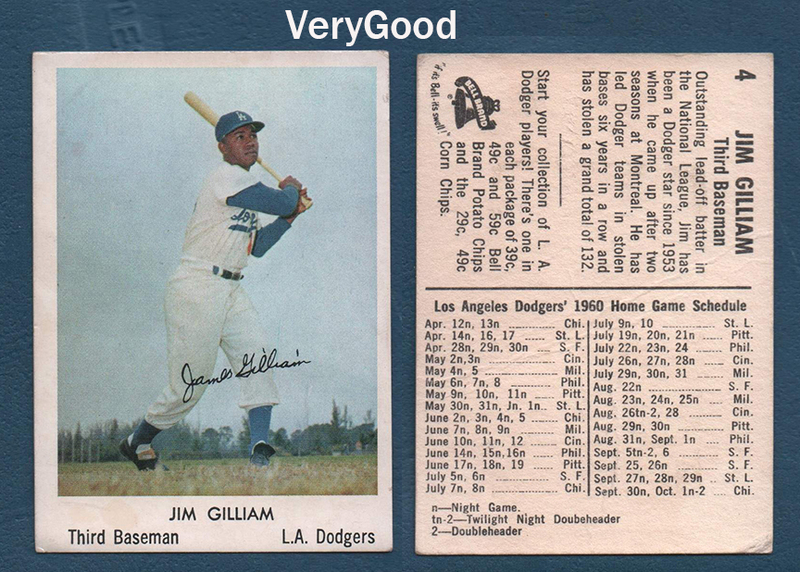 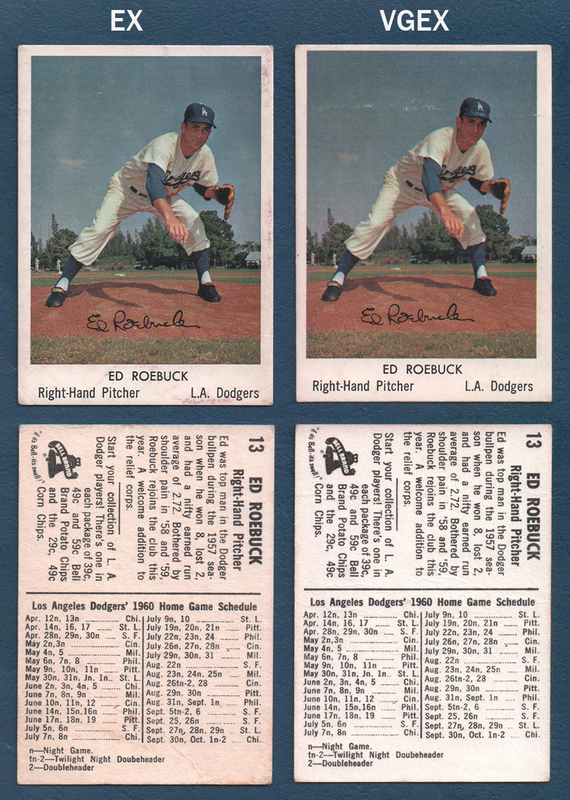 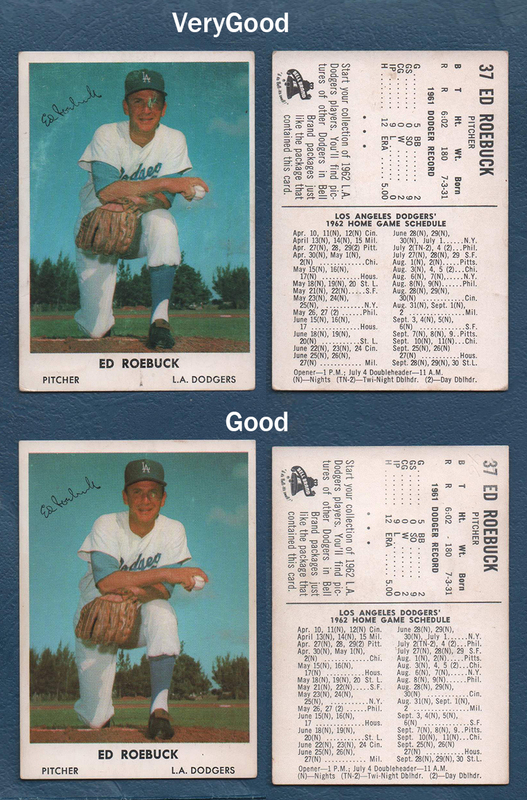 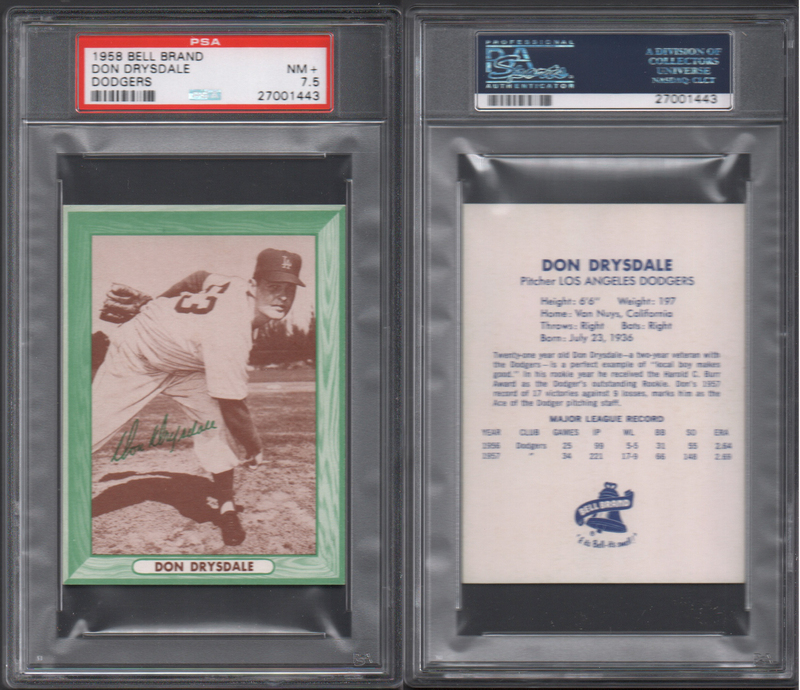 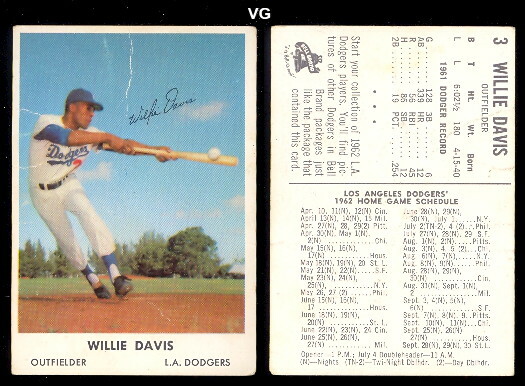 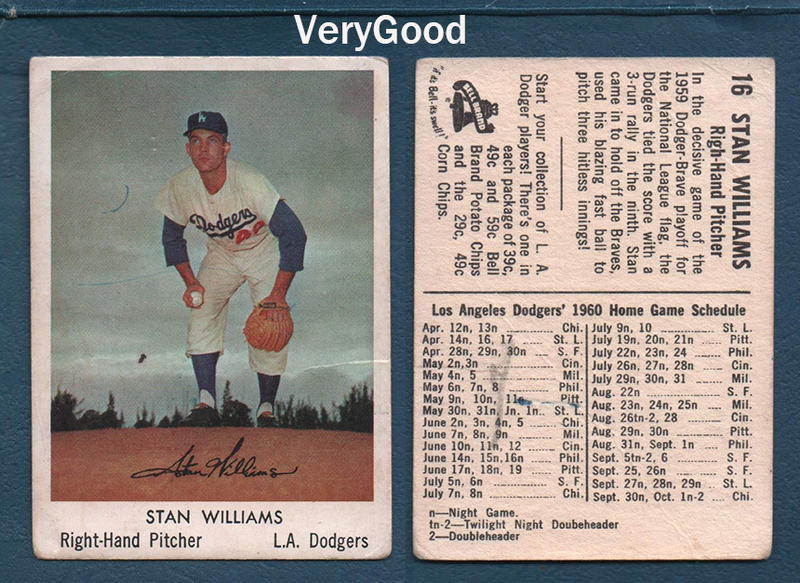 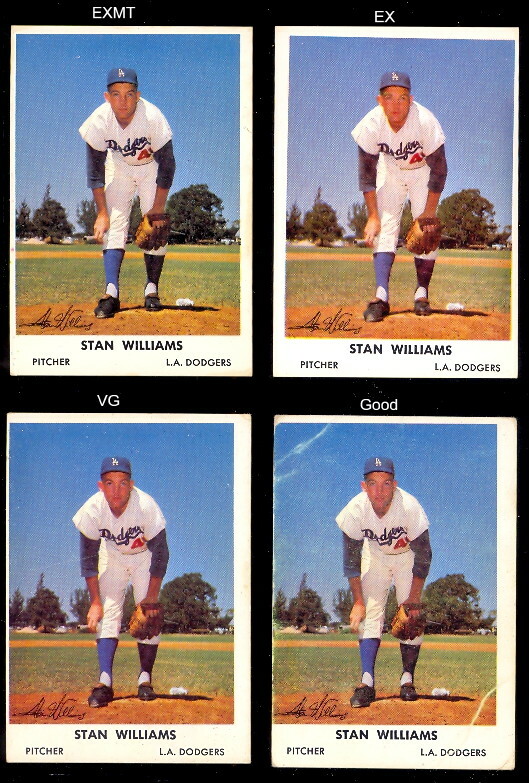 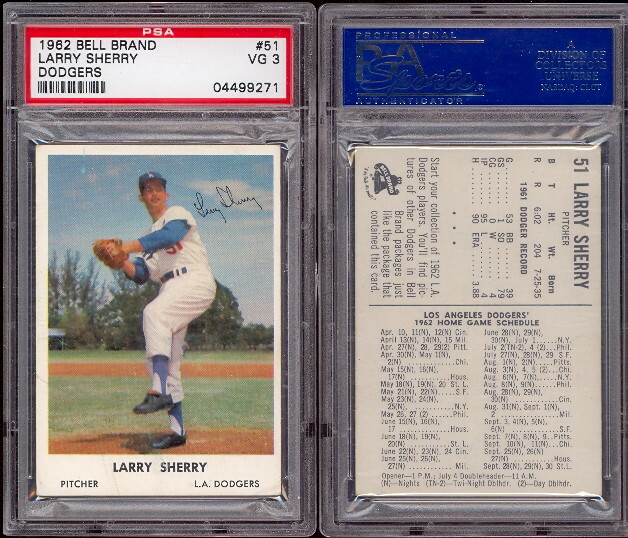 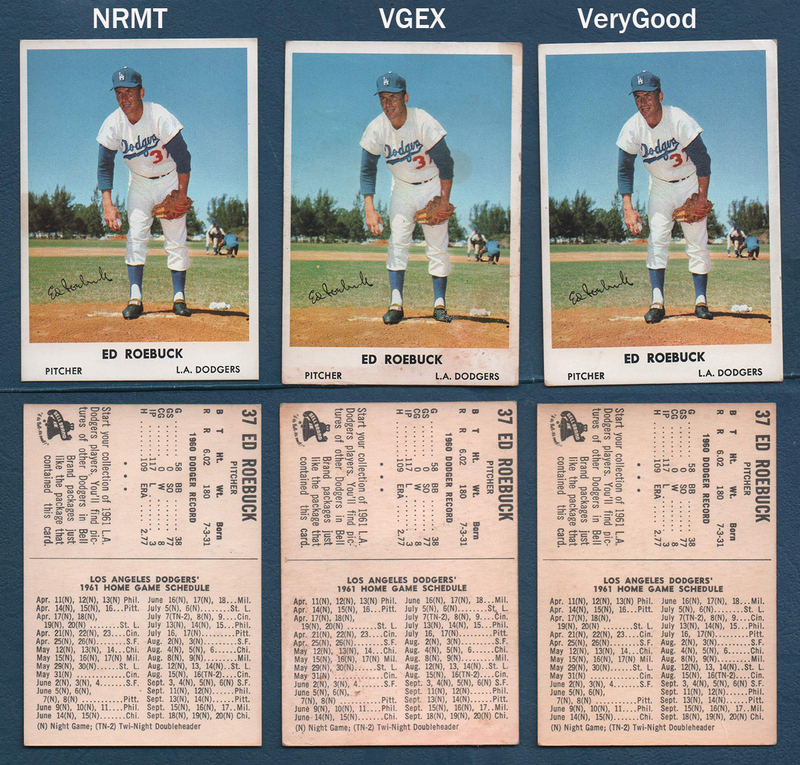 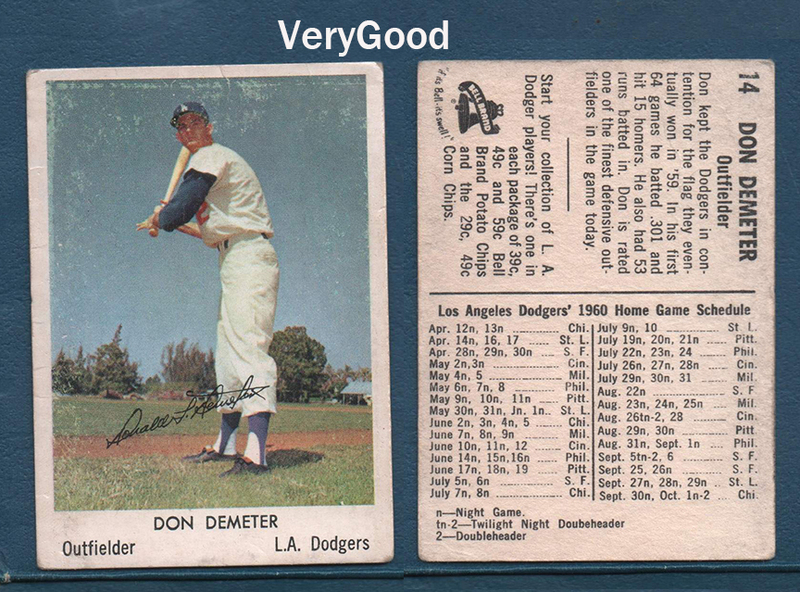 Bell continued to issue cards for Dodgers through 1962 and issued cards for the Rams in 1959 & 1960 which are also very rare!